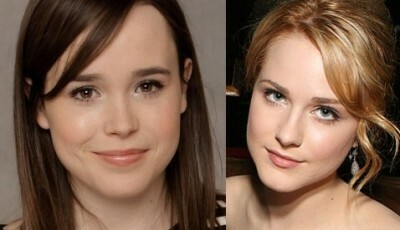 Ellen Page & Evan Rachel Wood Head ‘Into The Forest’!!! The beautiful Evan Rachel Wood ( True Blood, Across The Universe) joins Ellen Page (Juno, Whip It and X-Men:The Last Stand) in Into the Forest. Based on Jean Hegland’s novel about two sisters and their struggle to survive in the Northern California wild after a society collapse. Patricia Rozema, writer and director of 1999’s Mansfield Park is to pen the screenplay and is directing with Page, Kelly Bush Novak and Sriram Das producing. This makes Page’s producing debut. I’m not usually a big fan of apocalyptic set pieces but I do love Wood and Page. That may turn me into being a little more interested in how this project comes together at the end. I can’t think of too much either actress has been in that I don’t usually flip balls for. ‘Into The Forest’ Is A Scary Look At The World Post-Apocalypse!!! Netflix Picks Up ‘The Discovery’ Starring Robert Redford, Rooney Mara & Jason Segel!!! This entry was posted on Tuesday, October 22nd, 2013 at 10:24 pm	and is filed under Film, News. You can follow any responses to this entry through the RSS 2.0 feed. You can skip to the end and leave a response. Pinging is currently not allowed. « ‘Homeland’s Damian Lewis To Star With Nicole Kidman In ‘Queen Of The Desert’!! !